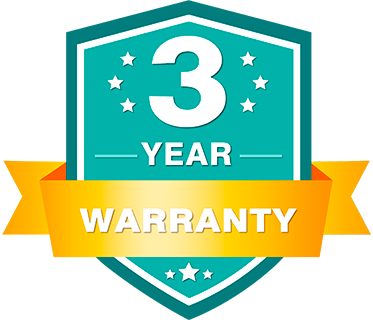 ASUSTOR Inc. warrants its NAS devices (excluding accessories) against any defect in material and workmanship, under normal use, for a three year period effective from the date of purchase. Subject to the conditions and limitations set forth below, ASUSTOR will, at its option, either repair or replace any part of its products that prove defective by reason of improper workmanship or materials. An extra warranty period may be provided by ASUSTOR’s worldwide dealers/distributors. Please contact your dealer/distributor for the local warranty period. Extended warranty may be offered with extra payment in some countries. All ASUSTOR products are diskless devices therefore ASUSTOR provides no warranty for any hard disks installed on its devices, or warranty for the compatibility of all hard disks and peripheral devices. ASUSTOR will not be liable in any way for the loss of data stored on ASUSTOR products and any damage caused by this. In the event that a product is found to be defective within the warranty period, ASUSTOR will, at its discretion, repair the defective product or part, or deliver to the customer an equivalent product or part to replace the defective item. All products that are replaced will become the property of ASUSTOR. Replacement products may be new or reconditioned.